You are here: Home / Sustainable Clothing / Bioregional colour / A Work in Progress Part Two: Vertically Stripped Sweater Pictures! 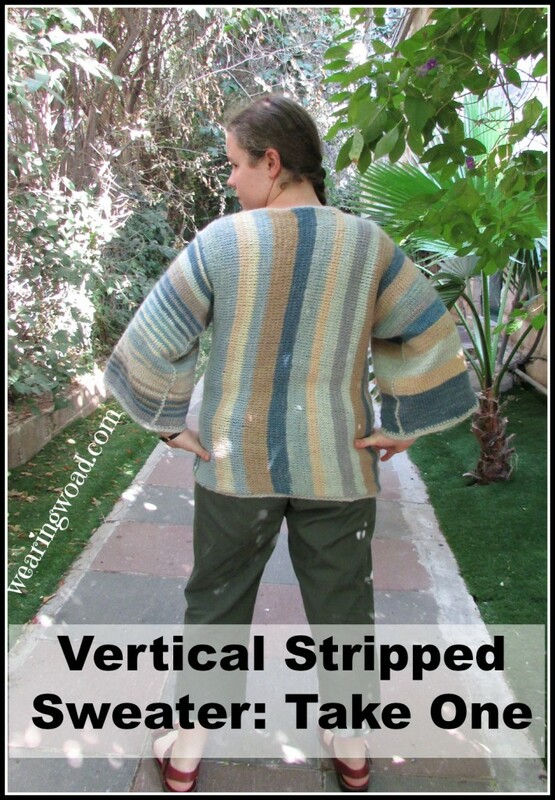 Last week, I posted the beginning of a vertically stripped sweater pattern. The feedback I received indicated that more pictures were desired. So, here’s a quick collection of shots of my original sweater, and my current progress on the new, and slightly modified version that I’m sharing. The sweater was knit from right to left, so the left sleeve was the last section knit. As you can probably tell, I decided to go a bit more overboard with my stripes, and I love how the fine two row stripes flow together and highlight how the woad colors work together. I had a bit of a mistake with this sweater, overknitting the back section as it was knit separate from the front. As a result, I had to do a bit of a design element addition to the neck to make it work without unknitting several inches. I crochetted a small flap, and fastened it with two small metal clasps. This little “design element” is the reason I’m knitting front and back at the same time with the second sweater. 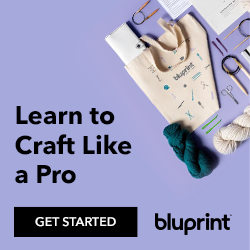 The side stitching on the sweater is actually crocheted, rather than sewn, and all curl-prone edges (sleeves, bottom, neckline) also have a double row of crochet to reduce the curl and provide a finished look. The yarn used is the lambswool blend from Joybilee Farm, alternated with a wool/mohair blend. The new sweater has an 8 stitch cable up the center of the sleeve. This pulls in the sleeve a small amount, as it is a very flowing sleeve. At the neck, the pattern I’m working on (next week’s post for the neck division), splits the 8 stitch cable into twin 4 stitch cables to frame the neckline. I’m hopeful that this pattern will be less likely to pull, and be less likely to want to curl under. So far, the few inches I’ve gotten into the neck zone indicate that my hopes will be born out. As you can see, the in-progress sweater has cables! I love cables and had the hardest time NOT adding a cable to the first sweater as I was knitting the 2nd sleeve. 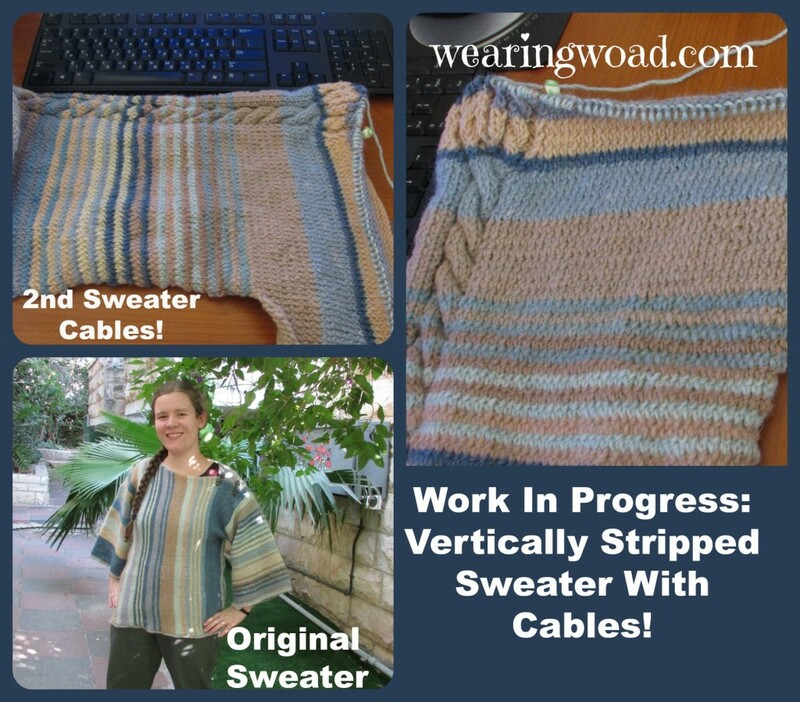 I didn’t think unbalanced cables would work very well, though maybe it would have… but the new sweater has cables, happy, happy, knitted cables! 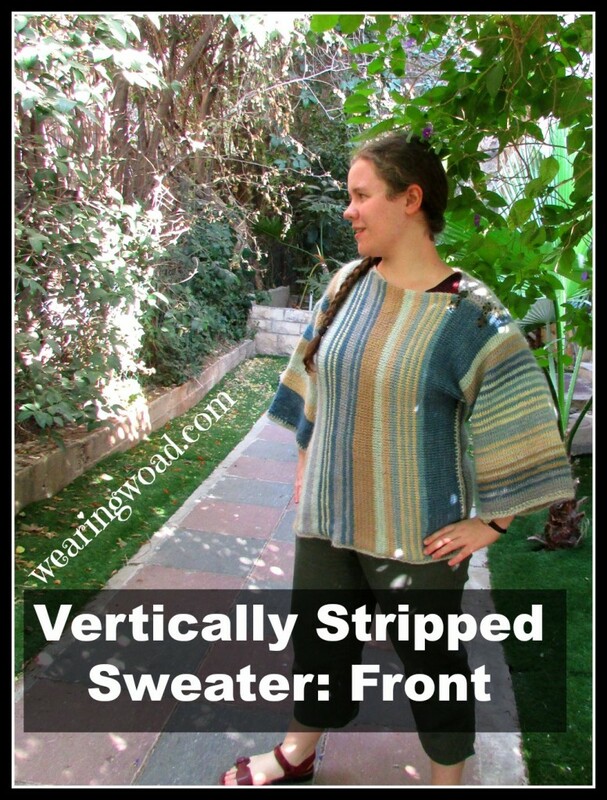 Of course, the highlight of both sweaters is that they are 100% dyed with natural woad colors. 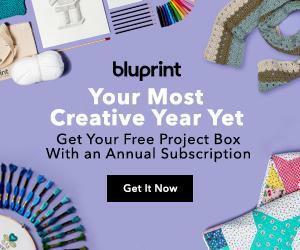 Every shade comes from the woad plant, 5 different blues, 3 different orangy pinky tones, a bright yellow, and even Purple! My three favorite shades are the light ice-blue, dyed from the residue from an extraction vat that I let settle to remove the main indigo content. The dark indigo blue which is woad’s classic color. And, the purple shade, which was achieved from an extraction vat that was taken straight to the dye stage instead of having the indigo removed. I’m doing a deliberate stripe pattern of those three shades for the front of the 2nd sweater, just so I can highlight them. What do you think of the original sweater and the slightly changed in-progress sweater? Isn’t it amazing how many different colors can come from a woad plant?